Film Grain Applies an even pattern to the shadow tones and midtones of an image. A smoother, more saturated pattern is added to the image's lighter areas. 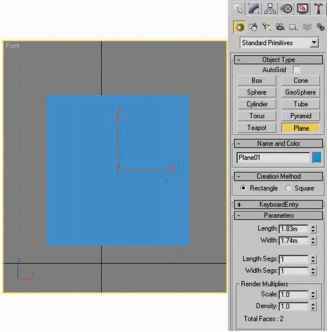 This filter is useful for eliminating banding in blends and visually unifying elements from various sources. Fresco Paints an image in a coarse style using short, rounded, and hastily applied dabs. Neon Glow Adds various types of glows to the objects in an image and is useful for colorizing an image while softening its look. To select a glow color, click the glow box and select a color from the color picker. Paint Daubs Lets you choose from various brush sizes (from 1 to 50) and types for a painterly effect. Brush types include simple, light rough, light dark, wide sharp, wide blurry, and sparkle. Palette Knife Reduces detail in an image to give the effect of a thinly painted canvas that reveals the texture underneath. Plastic Wrap Coats the image in shiny plastic, accentuating the surface detail. Poster Edges Reduces the number of colors in an image (posterizes) according to the posterization option you set, and finds the edges of the image and draws black lines on them. Large broad areas of the image have simple shading, while fine dark detail is distributed throughout the image. Rough Pastels Makes an image appear as if stroked with colored pastel chalk on a textured background. In areas of bright color, the chalk appears thick with little texture; in darker areas, the chalk appears scraped off to reveal the texture. For more on the filter options, see "Using texture and glass surface controls" on page 323. Smudge Stick Softens an image using short diagonal strokes to smudge or smear the darker areas of the images. Lighter areas become brighter and lose detail. Sponge Creates images with highly textured areas of contrasting color, appearing to have been painted with a sponge. Underpainting Paints the image on a textured background, and then paints the final image over it. For more on the filter options, see "Using texture and glass surface controls" on page 323. Watercolor Paints the image in a watercolor style, simplifying details in an image, using a medium brush loaded with water and color. Where significant tonal changes occur at edges, the filter saturates the color.